Just think of all the selfless ways she cares for the dog. The special plate of cheesy scrambled eggs. The soothing snuggles to help calm thunderstorm fears. And who else in the house can brush Mitzy’s teeth? 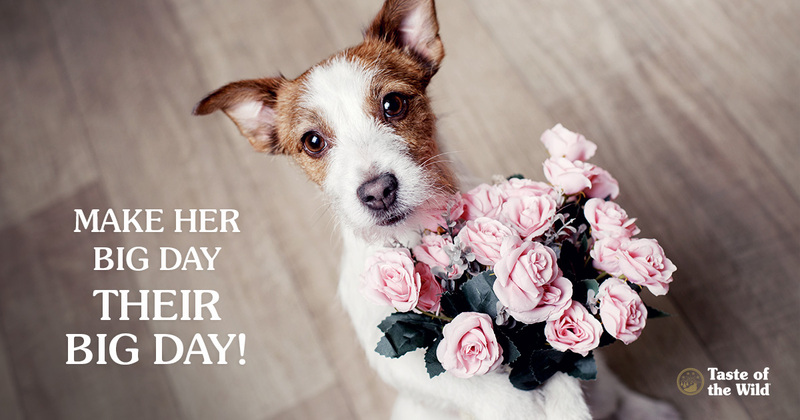 With Mother’s Day right around the corner, now’s the time to plan some dog-centric ways to show your dog-loving mom that she’s appreciated. De-fur the house or car. Now that the mercury’s rising, many dogs are shedding their winter coats. What better time to dust-bust the hairballs from the hardwood floors and vacuum up the fur that’s coating your carpet and upholstery? While you’re at it, maybe squeegee those nose smears off the car windows. Let her sleep in. And make sure her furbaby is curled up next to her. That should give you time to prepare a tray with fresh raspberries, pancakes and coffee for breakfast in bed, complete with a mom’s day card, signed with a paw print from the dog. Help them stay connected while mom’s away. When your dog mom is away from her four-legged baby, you can help her keep tabs on her pooch via a pet camera. With features like voice communication, treat dispensers and laser dot chase games, these cameras can help tighten that bond — or solve the mystery of who’s chewing on the dining room table legs. Commission a pet portrait.What dog mom wouldn’t adore a professional photo or painting of her little one? Even if you’re on a budget, you can still score points if you frame a favorite photo or have the likeness reproduced on a T-shirt, stationery or tote bag. Of course, don’t forget body art — maybe she’d like to plant Mitzy’s mug on her shoulder until the end of time? Submit a dog DNA test. Dogs are certainly part of the family, but has she ever wondered what breeds, exactly, could help explain her dog’s unique looks or behavior? With a simple cheek swab, you could provide her with information on the pup’s ancestry as well as potential hereditary diseases to watch out for. Go for a hike. After a long winter, everyone — including your dog — is eager to get outside. Why not spend mom’s day logging some miles in an outdoor park? If your dog is too small for long distances, consider a pet backpack that allows the pooch to be snuggled close to the chest or back. Go plush for Mom. Looking for a one-of-a-kind gift that won’t be returned? Order a custom stuffed animal in the exact likeness of her pet. Jewelry is a girl’s second-best friend. Next to her dog, of course. From lockets and charm bracelets to pendants made with a canine baby tooth and even exact reproductions of your pooch’s nose, there are plenty of options for custom dog mom jewelry. Of course, no matter what you do, make sure your dog has plenty of opportunities to shower your dog mom with wags and kisses to show how much she’s loved.